The 2018 FIFA World Cup in Russia will be the first of its kind. Never has the world’s largest and most prestigious international football event taken place over such a vast amount of space. Spanning two continents, Russia is, after all, the world’s geographically largest country. With matches to be held in 11 cities in the western regions of Russia, the Russia World Cup stadiums span an area about as large as all of western Europe. The area between the furthest four points (Kaliningrad, Saint Petersburg, Ekaterinburg, and Sochi) totals to more than 931,000 square miles. 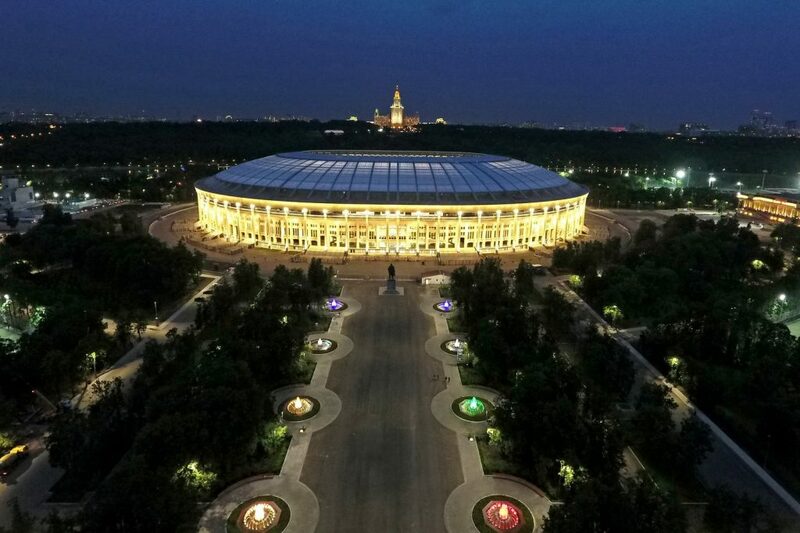 Though this vast amount of space is causing something of a logistical headache for teams who need to travel long distances between matches, the Russia World Cup stadiums layout offers some pretty unique travel opportunities for visitors looking to attend. With the lift on travel visas and complementary train travel between host cities for ticket holders, Russia has never been more accessible to westerners. 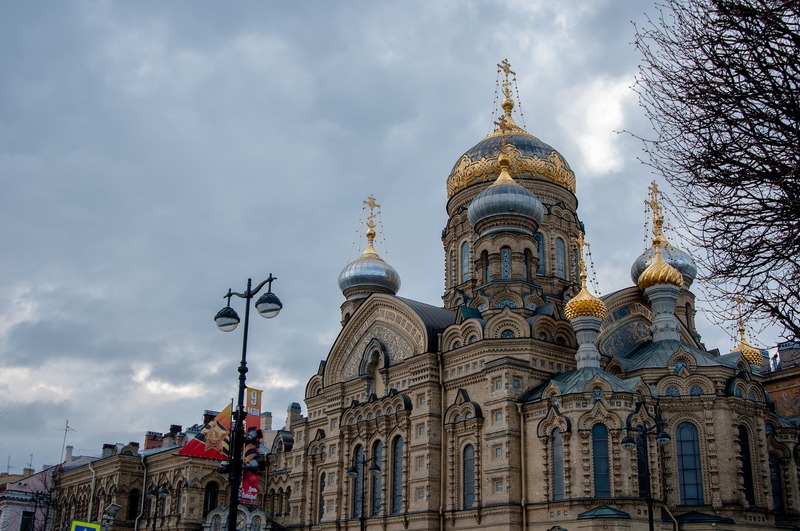 Traveling between host cities during the World Cup can be a once in a lifetime chance to see some of the vast and fascinating diversity that Russia has to offer. The Moscow State University building is visible from the other side of the river. The university building is one of 7 gothic-style skyscrapers built during the Stalin-era. Image source. 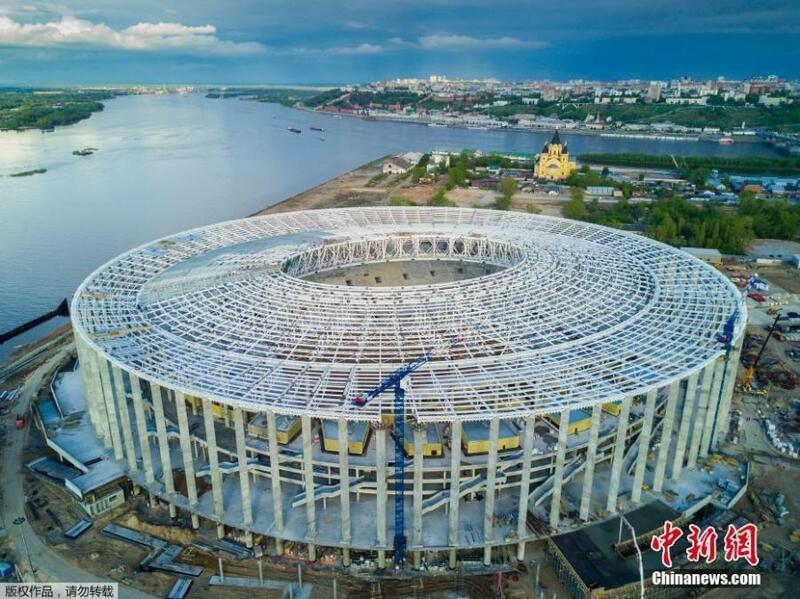 Currently undergoing renovations to build out a roof that will completely cover the seating area of the arena, the Luzhniki Stadium in Moscow will be the largest and most impressive of the 2018 World Cup. Luzhniki is one of the few major European stadiums that uses an artificial pitch, due to the fact that grass cannot typically withstand the harsh Russian winters. 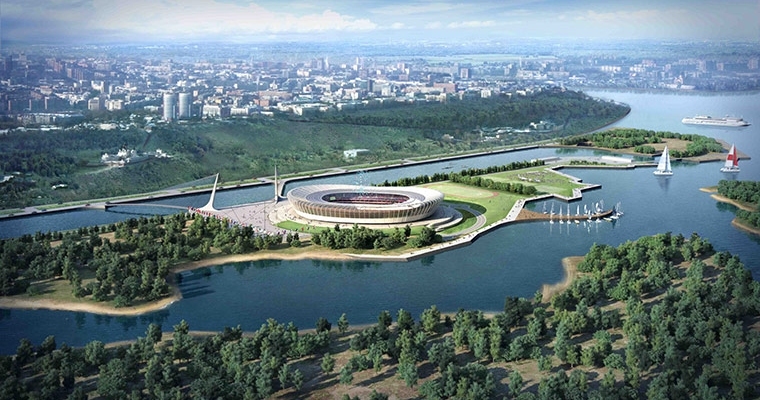 The stadium is scenically located on the banks of the Moskva River on the edges of downtown Moscow. 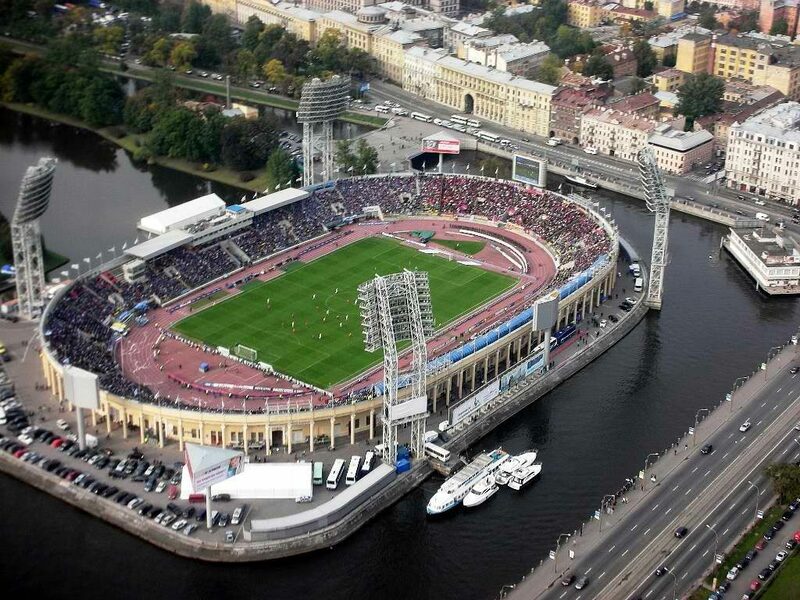 Originally built in 1922, Otkrytiye Arena was the first stadium erected in the Soviet Union. Image source. Also known as Otkrytiye Arena (Otkrytiye means “open” in Russian), Spartak Stadium is the home of Spartak Moscow, Russia’s most successful football club. Located to the northwest of Moscow, the arena sports the red and white colors of its home team. When the weather is nice, the stadium roof is fully retractable. Image source. Home to FC Zenit, the St. Petersburg Stadium features a fully retractable roof. It sits on its own island where the Neva River meets the Gulf of Finland. The swooping white roof of the stadium is meant to resemble snow peaks. Image source. 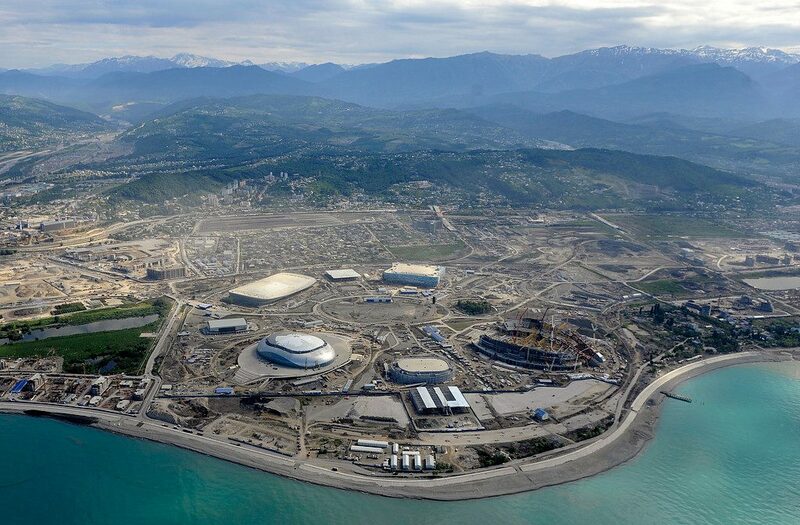 Originally built as an enclosed stadium for the Sochi Winter Games, the stadium has since been renovated to be an open-air football stadium. From the north side of the stadium, the Krasnaya Polyana mountain range is visible. From the south side, you get a great view of the Black Sea. Yekaterinburg Central Stadium. Image source. Originally built in 1956, the Yekaterinburg Central Stadium has hosted thousands of sporting events in its tenure, most notably speed skating. Its newest revamp will expand seating capacity and stadium technology. The Kazan Stadium is one of the most modern of the Russia World Cup. Image Source. 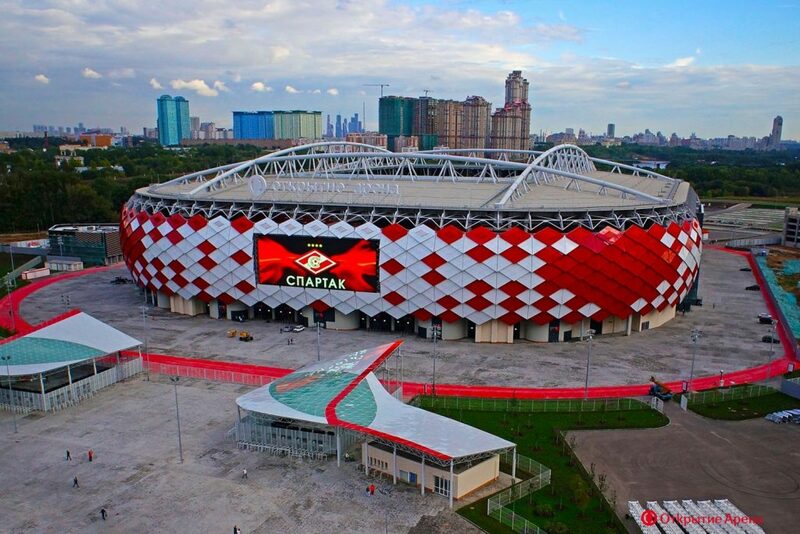 First built in 2013, the Kazan arena is one of the newer Russia World Cup stadiums. The arena is the home stadium for FC Kazan Rubin. 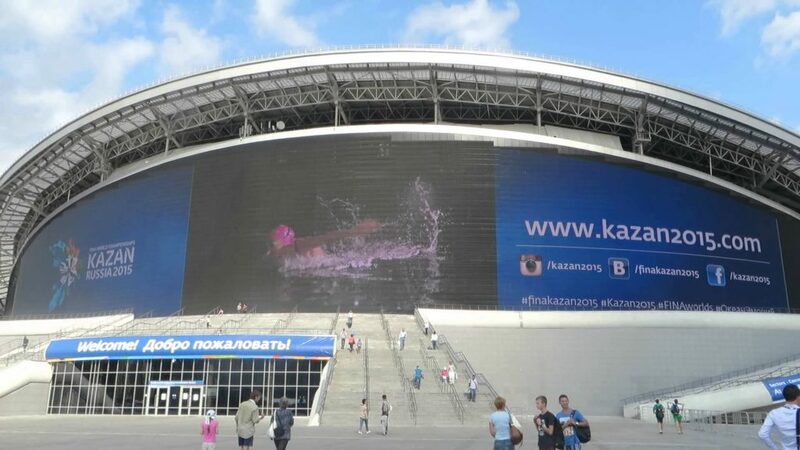 It’s outside LED screen is the largest of its kind in Europe. The Alexander Nevsky Cathedral is visible in the background. Image source. 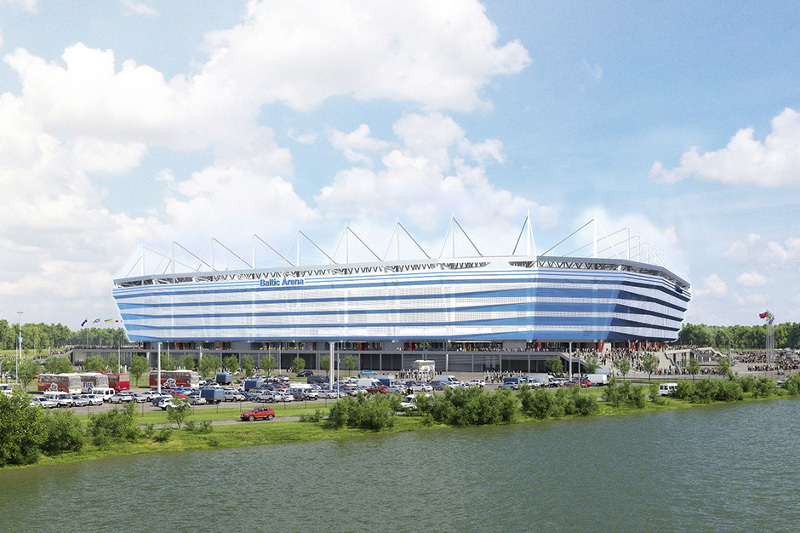 The Nizhny Novgorod Stadium is a completely new venture build specifically for the World Cup. Located on the banks of the Volga River, the Nizhny Novogorod Kremlin wall as well as the Alexander Nevsky Cathedral will be visible in the east. With the Rostov Nature Reserve in the nearby region, the Rostov Arena offers the greenest of the World Cup Stadiums. Image source. With ground broken in 2013, the Rostov arena is among the brand-new stadiums built for the Russia World Cup. It is the first major development on the southern bank of the Don river, meaning that there remains extensive greenery in the surrounding area. 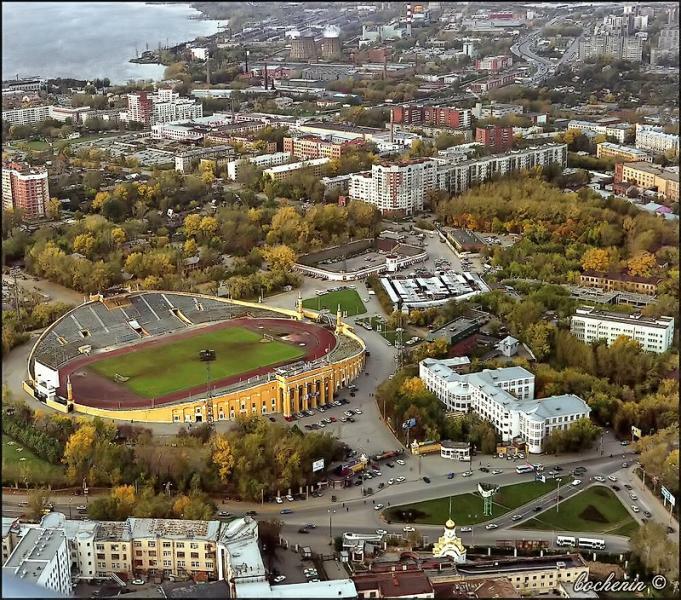 Extensive construction is taking place in this area of Samara, for both this stadium and a planned tower. Image source. Another brand new stadium built in anticipation of the World Cup, the Cosmos Stadium in Samara is one of the most visually striking projects. 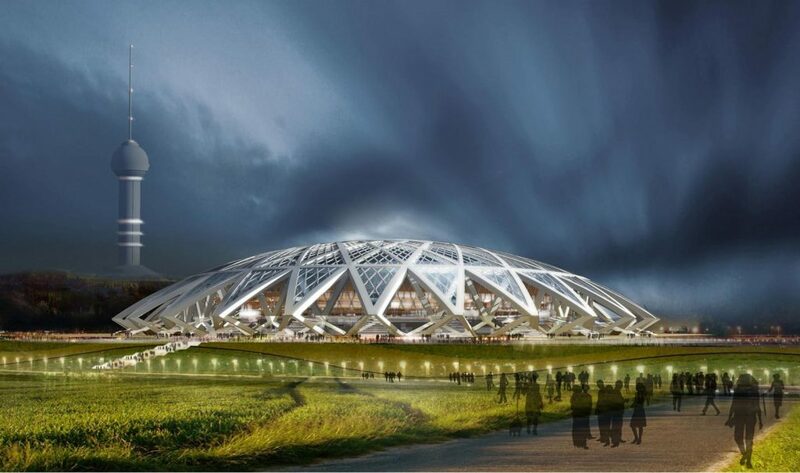 The dome will be made of glass panels that are angled to make the stadium resemble a gemstone. 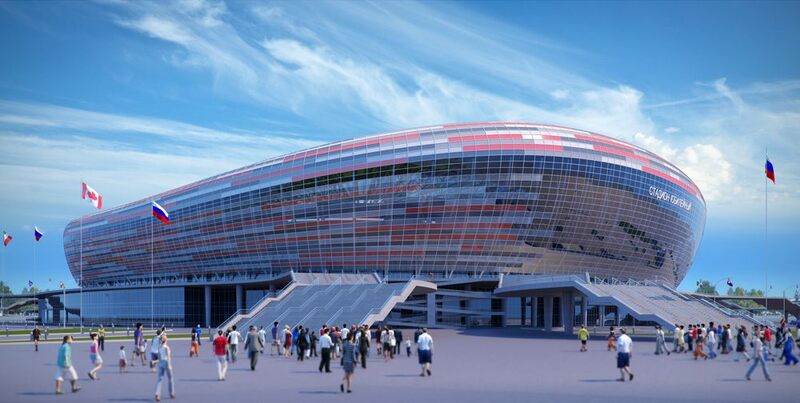 This stadium will be the new home of FC Mordovia Saransk and the Russian Premiere League. Image source. This brand new stadium is currently underway in the south eastern region of Saransk. It is located just east of the city’s most famous cathedral, the Cathedral Fyodor Ushakov. “Motherland Calls” is the statue overlooking the stadium. Image source. An old stadium was demolished and a new is on the way. The stadium is located just down hill of Friendship Park and is overlooked by the statue “Motherland Calls,” the city’s most prominent monument. Previously called the Baltic Arena, the Kaliningrad Stadium is undergoing a complete renovation for the World Cup. Image source. Built on Oktyabrsky Island in the Russian exclave of Kaliningrad, the Kaliningrad Stadium is the smallest of the Russia World Cup stadiums. 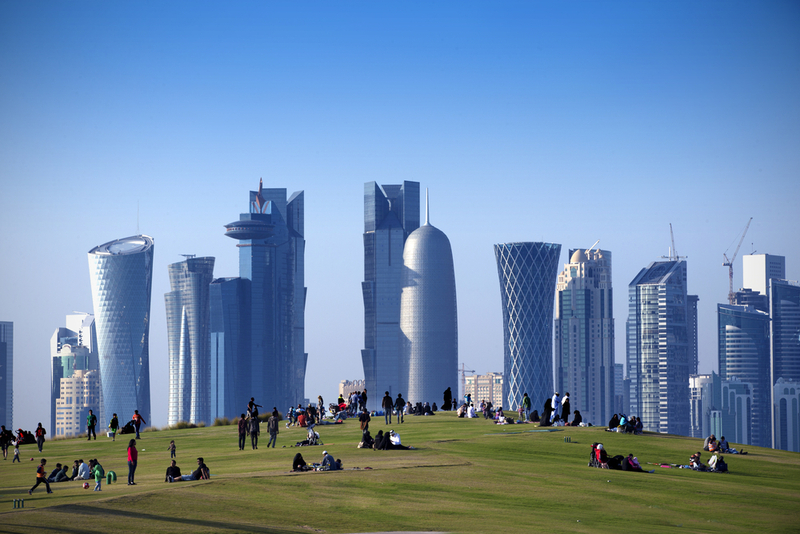 The stadium will be accessible by public transport, and is just 3k from the city’s centrail railway station. Learn more about each of the 11 Russian World Cup host cities. For an unforgettable trip to Russia in 2018, inquire about our FIFA World Cup 2018 Travel Packages today.